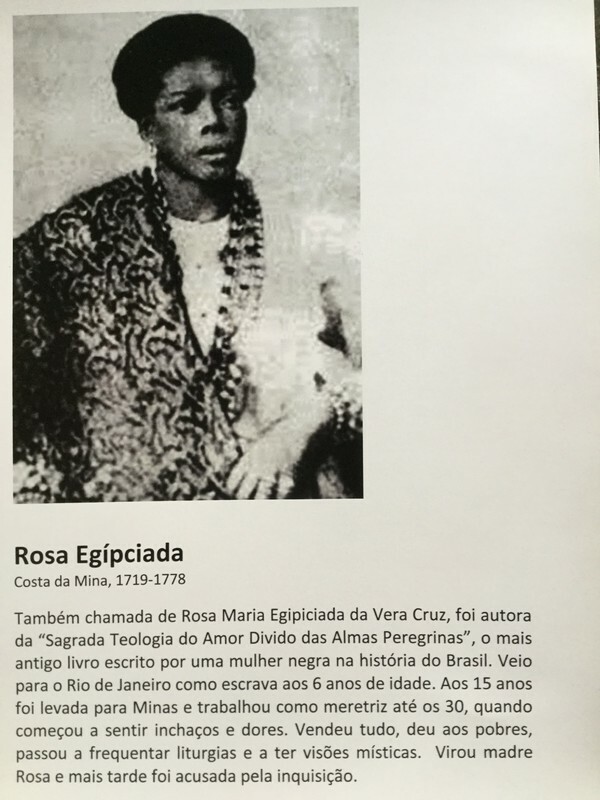 translation: Also known as Rosa Maria Egipciada da Vera Cruz, she authored "The Sacred Theology of the Divine Love of the Pilgrim Souls," the oldest book written by a Black woman in the history of Brazil. She came to Rio de Janeiro as a slave at the age of 6 years old. When she was 15, she was taken to Minas and worked as a prostitute until the age of 30, when she began to suffer swelling and pain. She sold everything, gave it to the poor, started frequenting liturgies and having mystical visions. She became Mother Rosa and was later accused by the Inquisition.